Nothing excites the palates of Tillamook Coast diners more than fresh seafood, and it doesn’t get much fresher than the selection at Ecola Seafood Restaurant & Market in Cannon Beach. 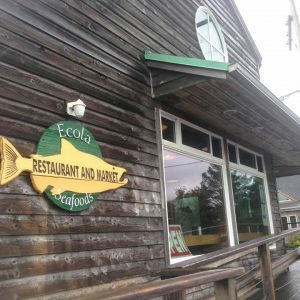 Opened by the Beckman family at the corner of 2nd and Spruce Streets in 1993, Ecola Seafood is the epitome of “catch of the day” dining, with its impressive selection of Northwest seafood. Everything you find on the menu is brought to the table by commercial fisherman Jay Beckman, who has been fishing the Oregon Coast since 1977. Operating his two vessels—Legacy and Legacy II—Beckman catches a wide variety of Pacific Northwest fish, reflected in the house specialties: Chinook salmon, halibut, Dungeness crab, shrimp, razor clams and more. 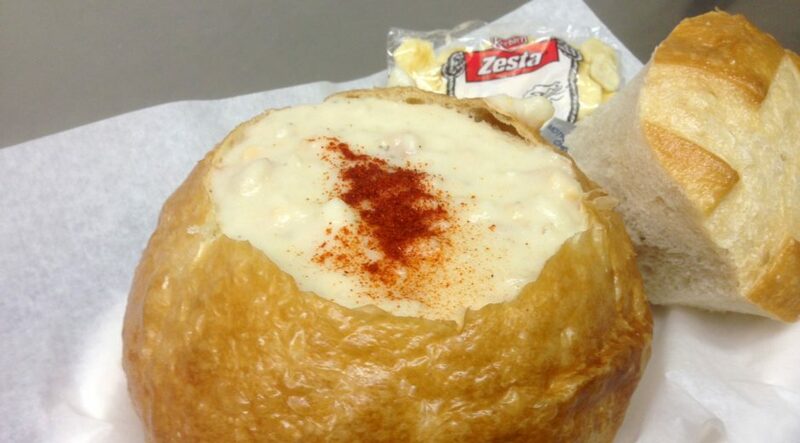 There’s also house-made clam chowder, served in a cup or a warm bread bowl, and the famous smoked salmon jerky. The indoor space has plenty of room for North Coast Food Trail wanderers to sit and relax while enjoying a beer or cocktail. 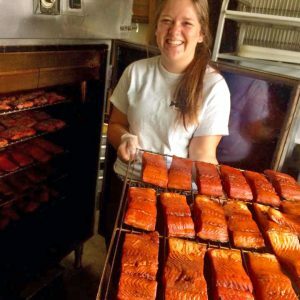 If you have a knack for barbecuing, the friendly staff is always ready to help out with special orders for party and get-together menus. So if you’re looking for fresh, local seafood, your search ends here.